Here is a roundup of the 2018 Black Friday & Cyber Monday Nikon Z6 mirrorless camera deals, sales, discounts and rebates. The versatile Nikon Z6 full frame mirrorless camera is scheduled to start shipping on November 30, 2018. That means you will gain NO discount on the Nikon Z6 body this Black Friday & Cyber Monday, but you can still save $100 on the Nikon Z6 with FTZ Mount Adapter Kit. 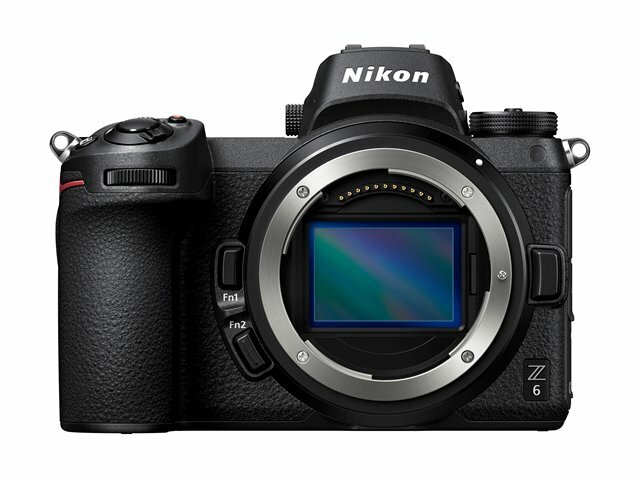 Although there is no big discount, the Nikon Z6 full frame mirrorless camera is expected to be one of the best selling mirrorless cameras this holiday shopping season because of its excellent features: 24.5MP FX-Format sensor, EXPEED 6, ISO 100-51200, 12 fps Shooting, 3.2″ Touchscreen and full-frame 4K UHD movie recording with full pixel readout. Below is a roundup of the 2018 Holiday Nikon Z6 Deals & Sales, along with Black Friday, Cyber Monday and Green Monday Nikon Z6 deals and sales. $100 off on Nikon Z6 with FTZ Mount Adapter Kit: $2,146.90 at Amazon, B&H, Adorama. $100 off on Nikon Z6 with 24-70mm Lens and FTZ Adapter Kit: $2,746.90 at Amazon, B&H, Adorama. Nikon Z6 with 24-70mm Lens: $2,596.95 at Amazon, B&H, Adorama. Read more: Nikon Black Friday 2018. « Pre-order the Sigma 40mm f/1.4 DG HSM Art Lens Now!